In general, sugar gliders are not good pets for kids. Sugar gliders are exotic pets and have more complicated needs than your average small pet, such as a guinea pig. 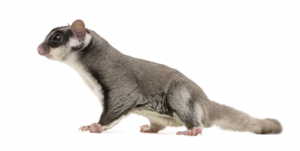 It would only be advisable for kids to get a sugar glider if they have a responsible parent who is willing to take on the major responsibilities of owning a glider. First, there is a financial commitment that your parents must be willing to take on. Sugar gliders are expensive pets when you consider all the costs involved. It is not recommended to get a single glider, so can you afford to purchase two gliders? After the expense of the gliders themselves, you will need to purchase a suitable cage, pay for vet bills, and then there is the cost of food. Second, there is a major time commitment involved in owning sugar gliders. Sugar gliders can live up to 15 years, so are you prepared to commit to taking care of your sugar gliders for that long? A lot can change in the next 15 years. 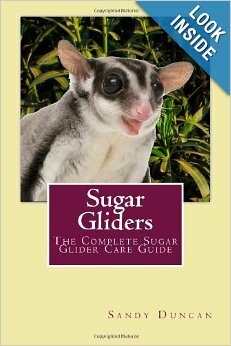 You will be going through a lot of lifestyle changes in that time and a sugar glider may not fit into your lifestyle. Sugar gliders are nocturnal, so you should also consider that and take a look at your own schedule. Sugar gliders often do not wake up until after 11PM to play. Most kids are already asleep by that time and will not have any time to spend playing with sugar gliders. It is very important that you have time to play with them in order to bond with them. The bonding process can also be very difficult for kids to handle. Some sugar gliders bite before they are bonded to you, and you will have to be prepared to take the bite. This is an important thing to do if you want to teach your sugar glider that biting will not get them anywhere. Some kids may not be mature enough to handle this and might react by harming the glider. Another issue is that sugar gliders require a nutritionally balanced diet of 50% protein, 25% fruits, and 25% vegetables. Are you responsible enough to make sure that they are fed a proper diet? Usually, it is the parents that do the grocery shopping anyway, so you will need to have your parents on board to make sure you can keep proper foods stocked up on a regular basis. You will also need to educate yourself on the dos and don’ts of a proper diet, because there are certain foods you will need to avoid. Sugar gliders need to maintain a calcium to phosphorous ratio of 2:1, so you will have to learn which fruits and vegetables have a good ratio. Hygiene is another important responsibility to consider. Are you willing to keep your sugar gliders cage clean on a regular basis? If not, are your parents willing to do it for you? Another thing to consider is whether or not you would be able to take your glider to a veterinarian in an emergency. You will need to locate an emergency veterinarian clinic and have a plan in place should an emergency ever arise. Kids who are too young to drive would need to discuss this with their parents and make sure they would have a ride to a veterinarian in case of an emergency. For kids, the responsibilities of owning a sugar glider are too much to handle on their own. If the parents are on board and are just as committed to owning sugar gliders, then it will work out just fine. Well I’m getting one from our local pet store and they were awake when I came at like 3pm, so are they not nocturnal then? Sugar gliders are nocturnal. Just because they were awake at 3 pm at the pet store does not mean they are not nocturnal. Pet stores are not ideal environments for sugar gliders, so they may have experienced disruptions to their normal schedules. Gliders may also wake up periodically during the day, but they usually go back to sleep. I have 12 gliders that I have rescued and they all sleep during the day and play and eat at night. there is no peace and quite or shade in a pet store and I am sure they are terrified if there are birds there as well so my answer is a big YES they are day sleepers! I own an exotic pet storei n S.C. and when I sold Sugar Gliders I wouldn’t even keep them in my pet store, I didn’t feel it was a proper environment for them, it was very stressful for them with all the reptiles around and the noise so I would make sure the customers did their research and if they felt it was a good pet for them then they would come back and tell me and I would have the local breeder bring me a pair, we only sold them in pairs because they need each other to live a happier longer life. We have a company called Pocket Pets that comes to the malls around here every couple of months and they tell the public that you can change the sugar gliders from nocturnal to diurnal and that is just simply not true. I hate Pocket Pets and wish they would be put out of business because they lie to the public and promote impulse buying. people buy these little exotics with false information and within a couple weeks after Pocket Pets leaves people are selling the sugar gliders on craigs list because they can’t handle them.